What kind of relationship do you have with the members of your fitness center? The answer to this question could have a significant impact on the success of your business. Clients expect a positive experience from companies, especially one like a fitness center where they will likely be going multiple times a week. Many people also want to have support while they make positive changes for their health. There are many ways to improve your customer service so that your fitness center members have a better experience. One way is better communication. How can you improve your customer service and communicate with clients more effectively? Group texting. It is a cost-effective, easy-to-manage marketing channel that shows real results, with a 98 percent open rate and high conversion rate. 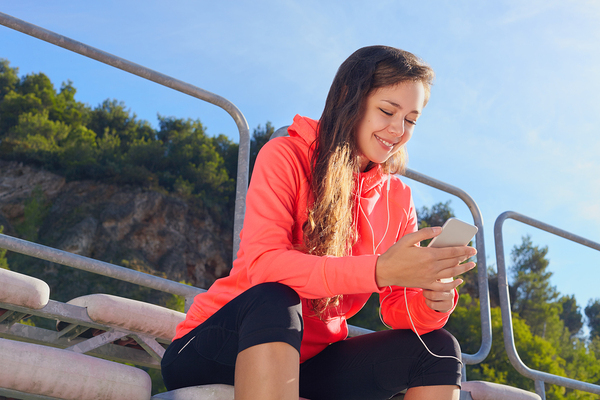 Curious how to incorporate group texting to leverage its benefits for your fitness center? Read on. With the right keywords, your program will be more effective. Once you have decided upon at least one of your keywords, you have the basis of your group texting campaign. Now, you are ready to start building a subscriber list. Group texting is a permission-based medium, so it is important that you do not send out any of your content until you have built a subscriber list. How do you do this? There are a few different ways. You can also get more subscribers by using texting as a call-to-action on your existing marketing and advertising collateral. Texting calls-to-action have some of the strongest responses. It does not take much room on your ads to include a keyword, short code or phone number. You can also include this information in radio and TV spots. For your call-to-action, simply ask people to text for more information about your fitness center. Consider offering them a special incentive to encourage more responses. Then, you can reply to their initial text with a confirmation asking if they want to join your texting list. If they confirm with a yes, then you have a new subscriber! Okay, now you have a group of people on your subscriber list whom you can text. What do you do now? You create your content. First and foremost, you want to make sure that you develop strong content that is relevant and of value to your audience. This will help you retain more subscribers over time. There are many different message types, but ultimately you want something that is valuable for your subscribers. Think about a need your clients might have and respond to it through texting. Another way to know whether or not your content is relevant and of value is to do A/B testing and review your analytics. The success (or lack thereof) of your texts will tell you whether or not your subscribers liked them. When you develop your content, also make sure that it adheres to your brand voice and will help you to achieve your goal or objective. The best content is personalized and tailored to the customer. As with other marketing channels, your text message content should be customized for your audience. To create customized content, start by dividing your list based on client demographics and behavior patterns. Then, develop content that resonates with each of these groups. For example, you can send messages about new yoga classes to those who regularly attend yoga. What is the best way to know your groups — and what they find relevant? It is to create personas. You might be familiar with the idea of buyer personas, where you create representatives of particular sections of your clientele using specific characteristics, such as age, gender, buying patterns, fitness goals, class attendance, and more. Then, when you create your content, you do so with the specific personas in mind. Once you have your content customized for your individual groups, it is time to figure out how often you will send out messages. Ideal message frequency can be difficult to determine, as it depends on your clientele and your business. Some clients may want to hear from your business more often than others. You might have personal training clients who want to have a weekly motivational text, while other gym members might only wish to get a text for a special offer or an event reminder. Monitor your different groups’ preferences and make sure that you do not inadvertently send someone who is on more than one list too many texts. You might find it easier to simply stick with a basic schedule of two to four texts per month to everyone. The total number of messages you send will largely depend on client preferences. It is beneficial to set up a regular delivery schedule so that you — and your subscribers — know what to expect. When doing so, keep message timing in mind. Avoid texting too early in the morning, too late at night, and at other inconvenient times. You might need to practice a bit to find out the right time of day and day of the week to send out your texts. Once you’ve figured out timing, then it becomes easier to establish a schedule. Once you have your group texting program up and running, do not forget to check on your progress. Your texting platform will have analytics for you to review so that you can gauge how well your texts are working. Reviewing your analytics will give you insight into what type of texts to continue to send, and which might not work as well. It is beneficial to have a range of message types that you cycle through so that your group texting program does not get stale, and your subscribers do not get bored. This will help you to retain your subscribers for the long haul. When you choose the messages to send, focus on those that develop a one-to-one relationship. There are many different types of messages that you can send. As a fitness center, you want to think beyond just the basic offers and deals. Texting gives you a way to work one-to-one with your clients and build a relationship. You can communicate with them and engage with them so that they feel more at home in your gym. Four types of messages will help to build the relationship between you and your clients: updates to schedules, reminders, early access for classes, and motivational tips. It is inevitable that there will be changes to your fitness center’s class schedule. There may be a last-minute adjustment due to a teacher falling ill, or it might be a long-term change. Your clients need to know about the changes, and texting is a great way of keeping them informed. People open their texts within minutes, so you can feel confident that they will receive your messages. You do not want to end up with a lot of no-shows at your classes or events. To increase participation, send out reminders to those who RSVPed to class, or to all your clients so that they are aware of important events. Because almost all texts are opened, they are an effective way to remind your clients about your events and classes. Your group texting program also can work as a loyalty rewards club. One perk can be early access to classes. Your clients will never have to worry about missing a class because it becomes too popular. You can send out a text, and they can respond to RSVP and get in before the class is full. You can also use your texting program to send motivational fitness tips to your clients. These messages might be reserved for those who sign up for personal training, or you might decide to send them to everyone. It is a great way to make clients feel appreciated and engaged with your company. Plus, they will find that they achieve their fitness goals thanks to the positive motivation. By following these few steps, you can develop an effective group texting program that helps to increase engagement with your fitness center. This, in turn, will not only help you achieve your business goals, but it will also help your clients achieve their fitness goals. Try GroupTexting for free to see how it can help you to grow your business.